Spinsters, I sincerely hope you survived Valentine's Day. For the first time in years, I actually went outdoors, and it really wasn't so bad. However, if there's anywhere a single person can find diversion, it's New York. I suppose second place would go to Las Vegas. I must admit that I was out too late last night (like...past ten o'clock!!! (I know that's n to that late, but I'm an elderly spinster)), I'm phoning it in today and taking this maze from the archives. 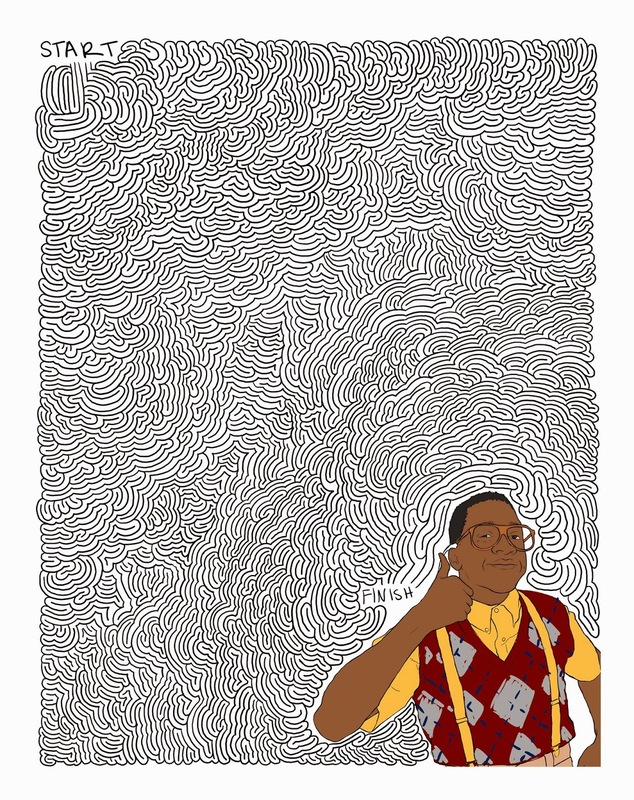 If you make it through, Steve Urkel will be there to congratulate you. It's not quite a heart shaped pizza, but I think it's still a pretty good reward. Enjoy your Sunday with Steve!